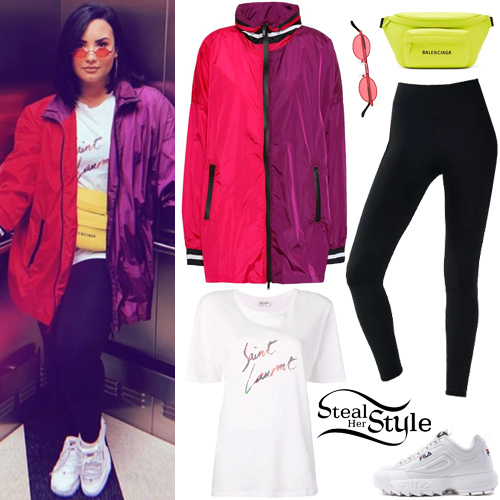 Madison Beer attended Coachella Music Festival – Day 3 wearing a White Fox Boutique Executive Bralette ($49.95), iamkoko.la Desert Camo Army Pants ($68.00), Luv Aj Pave Amalfi Hoops ($150.00), Cartier Love Bracelets in Yellow Gold ($6,300.00), Pink Gold ($6,300.00) and White Gold ($6,750.00) and Nike Air Force 1 Low Sneakers ($89.99). 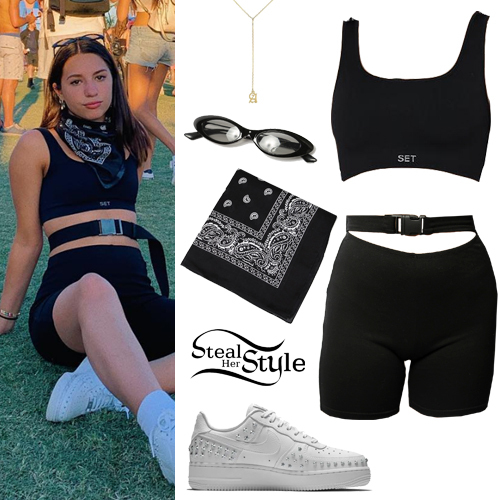 Cindy Kimberly attended the Revolve Festival during Coachella wearing h:ours Montee Crop Top ($68.00), Levi’s 501 Classic Jeans ($58.80) and her Nike x Off-White Air Force 1 Low Sneakers ($1,415.00). Jordyn Jones attended Coachella Music Festival – Day 1 wearing a Ruffle Strap Knot Front Crop Top ($9.00) and Letter Print Raw Hem Denim Shorts ($13.00) with a Layered Chain Belt ($5.00) all by SHEIN, Topshop Cactus Tube Socks (Sold Out) and Steve Madden Movement Sneakers ($99.95).